This weekend I went to a hihat wedding in Thomasville, Georgia. 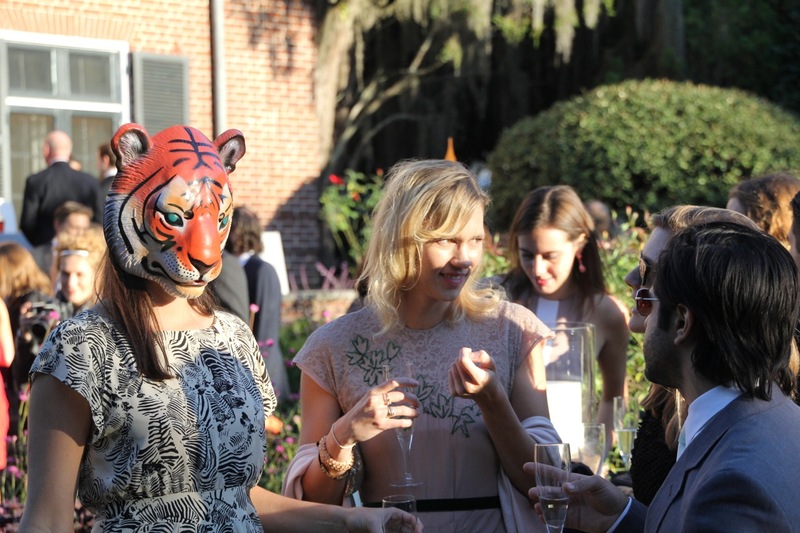 Amid the live oaks and the pines wedding guests donned their black ties and had a post-ceremony cocktail in the garden. We weren’t the only ones. 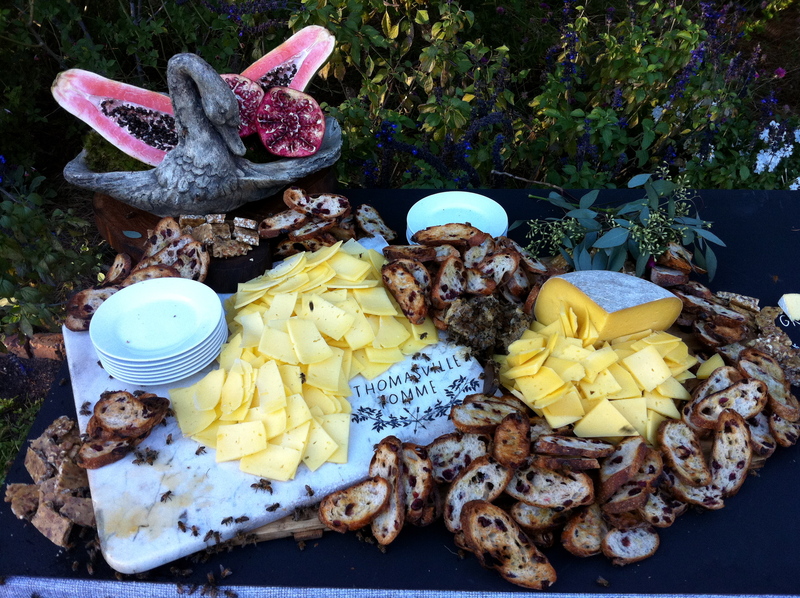 The chef had designed a cheese course tableau, crowned with raw honeycomb. Local hihat honeybees happened by, lured in by the string quartet and free champagne no doubt. They must have been shocked by the honeycomb — free for the taking, no guards! At once they kicked off their high heels and got to work robbing the honey. They carried it back to their hive on sticky legs, gave fellow worker bees directions by a waggle dance (probably a Charleston), and before we knew it there were hundreds of bees robbing the honey. “Is the cheese still ok to eat?” I was asked. “Yes!” I said. I advised we do nothing, that the bees would go home at dark, and I demonstrated the cheese was ok to eat. I did end up with a bee or two in my hair. There was one sting (unfortunately it was the chef), but all in all, the wedding was a sweet success. 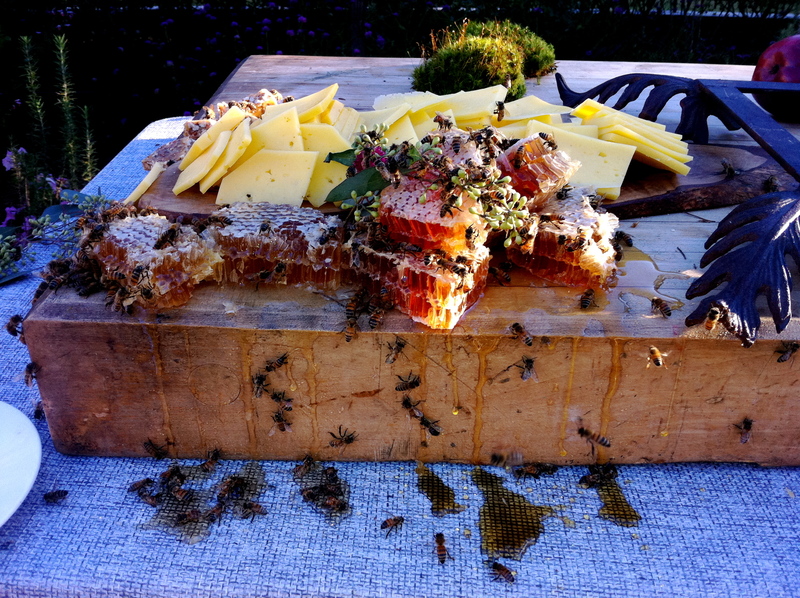 Those bees know a good party (with a kindred guestlist) when they see one!